This winter a small tragedy took place on a ridge above the Bitterroot Valley of western Montana near where I live. I was nearly home when two neighbors out for a walk frantically flagged my truck down. They’d found a deer silently struggling, hanging upside down by one back leg, gripped in a loop of the woven wire fence surrounding a yard at a house where nobody seemed to be home. Did I have a pair of pliers to cut the fence and free the animal? I pulled into the yard and dug through my toolbox. The pliers I found couldn’t cut the wire. I dug deeper and grabbed a pair of wire cutters. With shaking hands, we worked together to chisel through the top wire and free the frightened young doe. She fell with a thump, unable to get up. The puzzled look in her eyes when she discovered that her legs couldn’t respond was heartbreaking. She must have been hanging all night; her front hooves had dug a trench in the lawn. I hoped that her ordeal had only temporarily paralyzed nerves in her legs, but I suspected that her injuries were more serious. I told the good Samaritans that I’d call the Montana Fish, Wildlife and Parks division as soon as I got home, but when I finally reached a game biologist, he was 40 minutes away. I ran back to check on the doe, and found that she had crawled about 20 feet, dragging her back legs. I cried as I slowly walked back to my house. An hour later, my phone rang. It was the biologist calling to say he had put the doe down. Her back was broken. It was the second call he’d gotten that day about a trapped deer. When I bought my house 15 years ago, there were only three other homes in the area. One owner had some cattle, so his land was fenced, but no one else felt the need to erect a barrier around their little piece of Montana heaven. Elk, deer and moose wandered freely up and down the ridge, foraging on native grasses and shrubs. Some mornings we saw as many as 75 elk cows and calves filing through the trees below our house. Then the first lot sold in the subdivision next door, and soon, new houses sprouted up. Still, elk and deer continued to roam through the neighborhood, though the moose apparently found new routes to the river. Two years ago, the neighbors in whose fence the doe was entangled put up woven wire to contain their two hunting dogs. A worthy endeavor, because loose dogs chase wildlife, but an unfortunate choice of fence style. And now, it seems, the wrong kind of fence building has become a trend. This year, three more woven-wire fences went up, and we no longer see the elk ghosting through the trees at dawn. I haven’t asked, but I bet some of those folks who put up fences have no idea why the local wildlife seems to be disappearing. The University of Utah conducted a survey along more than 600 miles of ranch fences in northeastern Utah and northwestern Colorado to determine what kind of fencing causes the highest wildlife mortality rates. The worst culprit was woven wire (a 6-inch heavy-gauge mesh) with a barbed wire strand a few inches above it and a total fence height of more than 42 inches. Animals that tried to jump over a fence like that frequently caught a hoof in a fatal twist of unbreakable wire and died of their injuries or of starvation. Very young animals were unable to jump high enough to get over the fence and could not crawl under the woven wire. The herds of deer, antelope, mountain sheep or elk left them behind to die. Most of the mortalities were young animals, with more than two-thirds caught in the top two wires of fence. In addition to losses due to entanglement, for every mile of fence, at least one ungulate died next to a fence, and almost all were fawns curled up in the grass, waiting for mothers who failed to return. Though the fences studied were on ranches, the same risks apply anywhere people want to insulate their property from wildlife or contain the domestic animals they own. If we insist on building our homes where wildlife loves to roam, the least we can do is refrain from constructing deadly traps that kill them. And what is the best fence to build? None at all. But if you have to build one, flag it so wildlife can easily see it. Build it so wildlife can go under it or jump over it, with a height under 40 inches and top wires separated by at least 12 inches. (information on building wildlife-friendly fences is available at http://fwp.mt.gov/wildthings/LivingWithWildlfe.) Small changes can go a long way toward easing suffering. 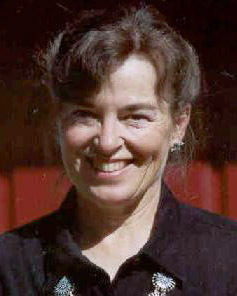 Wendy Beye is a contributor to Writers on the Range, a service of High Country News (hcn.org). She is a pilot who has worked with a game biologist counting antelope, wolves and other animals in western Montana. She lives in Hamilton, Montana.